The sun is out, the weather is warm, and spring is on the horizon! This happens every year, though. We have a couple days where the temperature is above 50 degrees, and we think "spring is here! "...but then it&apos;s back to 30 degrees and winter. But fear not! The Rockford region offers plenty of helpful ways to get you through this last bit of winter. 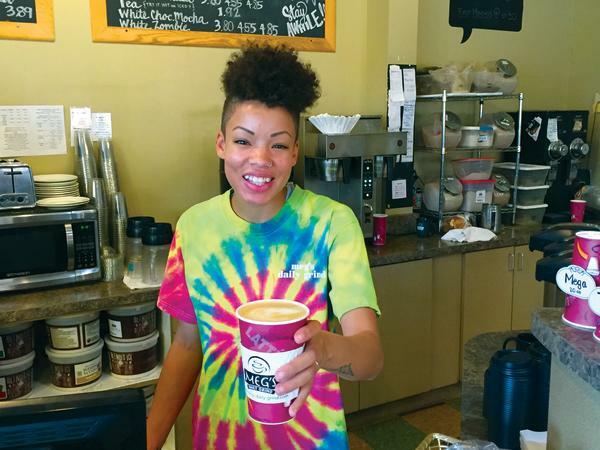 If the weather gets a little cooler again, find comfort in a warm beverage at Meg&apos;s Daily Grind! No matter what the temperature is outside, a cup of something from Meg&apos;s will always brighten my day. Long day ahead? Need a pick-me-up? Maybe it&apos;s just a Wednesday? Meg&apos;s can help with that. I recommend going beyond a regular coffee order and grabbing a chai tea latte, but that might be a little difficult because they have so many unique coffee drinks and flavor combos you can add! 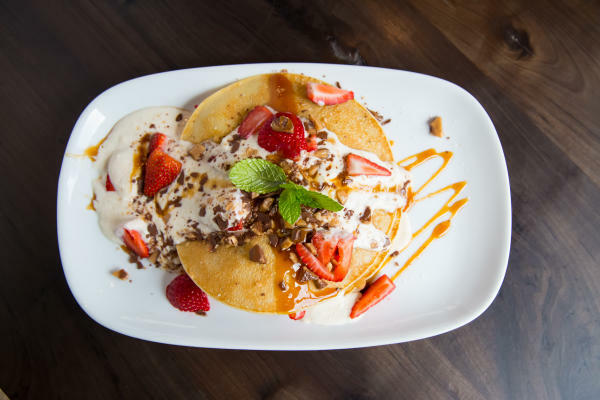 In any case, you can&apos;t go wrong with anything you order. You may think that it&apos;s still early in the year, but believe it or not, Volcano Falls opens on March 2nd! 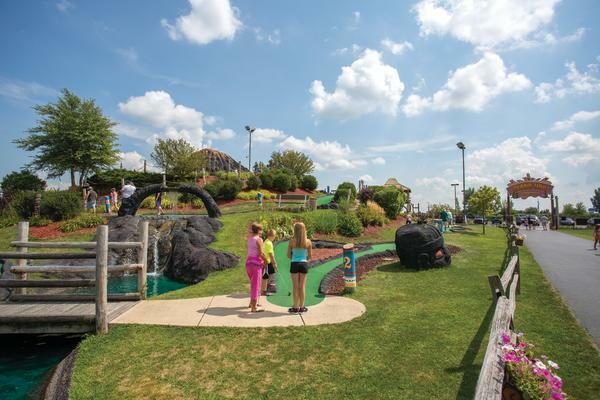 No matter how old you are, a good round of mini golf is sure to cheer you up, even when there&apos;s the last little chill in the air.There are two 18-hole mini golf courses for fun competition with friends and family. I always make at least a couple trips to Volcano Falls per year, and it&apos;s always around this time of year that I get the itch to go. Plus, if it&apos;s too cold for your liking out, there&apos;s always the awesomely fun arcade inside! 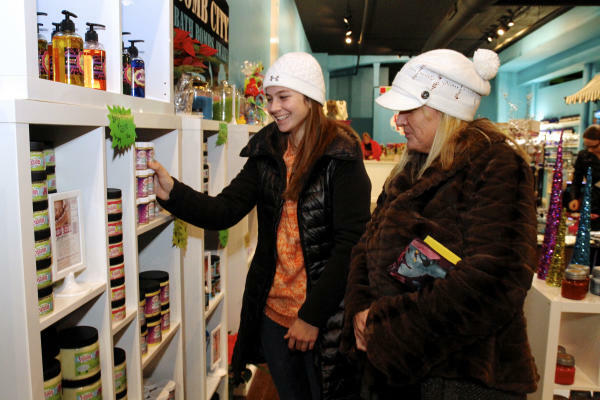 You literally can&apos;t walk into Bath & Body Fusion downtown without popping a little smile on your face. All of their products are bright and colorful, just prompting you to come over and purchase them. The end of winter means that hands are still dry and cracked, but Bath & Body Fusion can help you with that! One time using the Dream Cream and your skin will already feel 100 times better and ready for spring. Maybe the weather has turned colder and you don&apos;t even want to think about going outside? Try one of their fun bath bombs! They come in fun scent combos like raspberry/melon/lemon/coconut/pineapple (yes, all in one!). Springtime for me means dusting off the bicycle and going for a ride. Maybe your bike needs a tune-up, or maybe you don&apos;t have a bicycle yet and you want one! 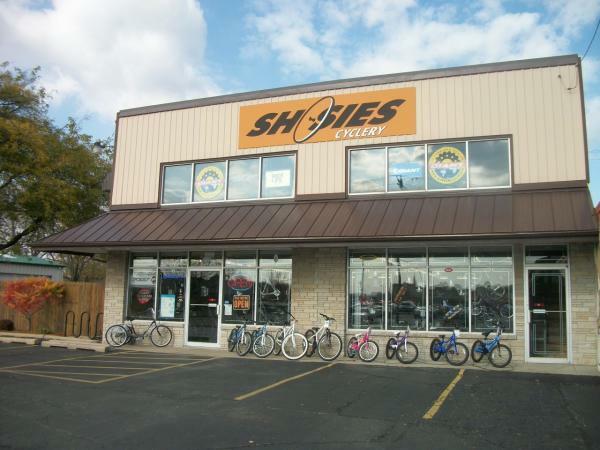 Our friends at Shosies Cyclery can help you out. The friendly folks there know a thing or two about bicycles, and they&apos;ll help you find the right one, or get your current bike to your riding standards. Fun fact, my bicycle came from Shosies! With so many bike paths in the area (Rock River Recreation Path, Perryville Path, even the path around Rock Valley College), it&apos;s a great area to have a bicycle! The part I love most about spring is watching everything turn green and bloom. One of the best places in the Rockford area to watch that happen is at Fresco at the Gardens at Anderson Japanese Gardens! You&apos;ll dine in the serene atmosphere while looking out the huge windows at the gardens below. It&apos;s the perfect place to watch the leaves start to pop and flowers start to bloom! Plus, the menu at Fresco is excellent. I recommend coming for a nice brunch, and don&apos;t forget to order one of their unique juices to top off your meal! The groundhog may have seen its shadow a few weeks ago, but I think spring is closer than we think! Enjoy all of what the Rockford region has to offer in this in-between season! For more suggestions on what to do while spring is coming, check out our previous blog!